Quite the opposite of Grace Bay, Long Bay is 3 miles of unbelievable solitude. Beach, ocean and sky as far as the eye can see. As you walk along, you’ll also see some gorgeous private villas along the beach that are available for rent. Long Bay beach is also the home of The Shore Club – an absolutely stunning, full service luxury resort with three pools, restaurants, spa and much more. Located on the southeastern side of Provo, and a mere 10 minute drive from the Grace Bay area, this sheltered beach has shallow, often wave-less water, making it perfect for lazy swims. Also of note, kite boarders love to use this location, and Provo Ponies also makes use of this quiet, peaceful area, so views of brightly-colored kites and horses will enhance any trip made to Long Bay Beach. HOW TO FIND IT: Say you’re starting out at the roundabout in front of Seven Stars, drive towards the main Leeward Highway and as you get to the roundabout turn left, drive for about 8 minutes, and on the right hand side, you’ll see signage for The Shore Club. Turn in there and drive to the end, then hand a right, then a quick left, you’ll get to the parking lot where you can park your car and walk down the path to the beach. The Central ‘downtown’ part of Grace Bay is where you’ll find many of the amazing restaurants of Provo, shops and boutiques, the Graceway Gourmet grocery store, ice cream and pizza stores, a few places to find some local art and so much more. Three main shopping plazas are here that are really considered to be the epi-center of Providenciales: Regent Village, Saltmills Plaza and Ports of Call. The resorts in this area are generally all within 1 to 10 minutes walk to the downtown core. The eastern part of Grace Bay is nice in that there’s slightly less activity going on as compared to the main downtown Central Grace Bay area, so the beachfront area in front of some of the resorts tend to be a bit more quiet (there are some exceptions though, e.g. sometimes in front of Club Med it can get a bit busy during some periods of the year). Some people make the walk to get to the Central downtown Grace Bay area, some opt to bike, or cab it or just drive there if they have a rental car. 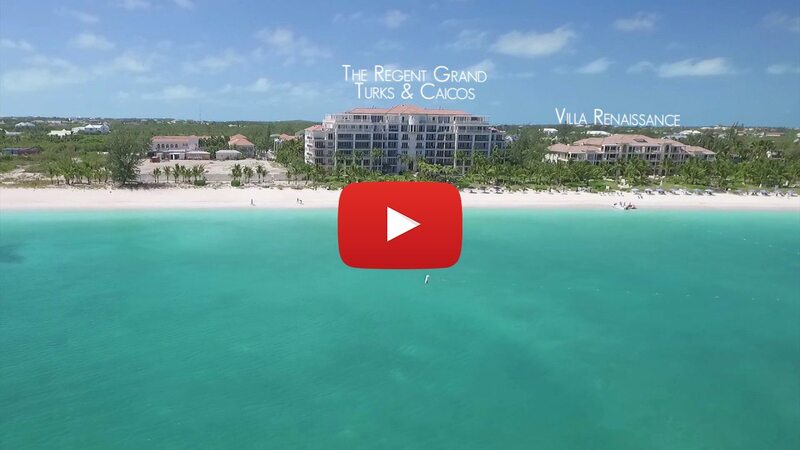 This area spans from Royal West Indies to The Tuscany on Grace Bay and The Venetian on Grace Bay. The walk to the downtown Grace Bay area is just about 15 minutes or a 3 -5 minute cab ride away. This section of Grace Bay is just slightly removed from the main central part of downtown Grace Bay which has the shopping areas and grocery stores – but it’s a mere 10 minute drive away, so you’re still within general proximity to most everything. However, what this part of the beach has that cannot be found anywhere else is the best snorkeling! Coral Gardens and Smith’s Reefs both offer excellent snorkeling opportunities where you can literally wade in from shore with your mask and fins and see lots of colorful fish and coral as well as other marine life like sea turtles and sting rays. The big Beaches All Inclusive Resort sits on this section of the beach as well. 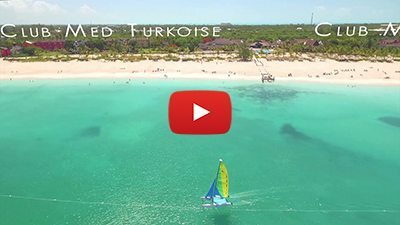 This area spans from The Sands at Grace Bay and goes all the way westward to Gansevoort Turks + Caicos. Coral Gardens the snorkel reef is at the half way point, and just beyond Gansevoort is Smith's Reef. Walking time down the beach is about 30 to 40 minutes. Described as “….a dream, a vision…….” many visitors also swear by Leeward Beach, good for some romantic solitary walks along the ocean. Also good for looking for conch shells and running among the endless sand dunes. You can also take a long, quiet walk (or jog) out to Emerald Point, the most northeasterly point in Provo. You’ll probably see the Ferry going or coming from North Caicos as it leaves from just around the corner through the channel. In the distance, you’ll see Little Water Cay, where iguanas roam free, or the swampy wetlands of Mangrove Cay, where you may be surprised by a dolphin or a rare reddish egret in the remote channels and tidal creeks! This is a gorgeous section of the beach to take pictures, there’s usually very little people and the ‘Emerald Point’ portion in particular is very scenic! HOW TO FIND IT BY CAR: Say you’re starting out at the roundabout in front of Seven Stars, drive towards the east, past Coco Bistro, Club Med, the golf course, keep driving until you see a security booth, you’re now entering the ‘Leeward Gates’ residential area (Atrium Resort and Blue Haven Resort are also located in here); take a left at the first roundabout then veer left onto the gravel road and drive for about 3 minutes, and you’re on Leeward beach!